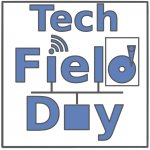 Not long ago, Stephen Foskett (@SFoskett) asked me on Twitter if I I would be interested in coming to Tech Field Day #TFD11 in Boston. And today, only four weeks later, I am sitting in the departure hall of the Blue Danube Airport in Linz, ready for boarding my flight to Boston via Frankfurt. I am really excited to attend #TFD11 as a delegate and I am looking forward to three days full of discussions, learning, and technology. I am a big fan and regular viewer of the TFD events as they offer the possibility of an interactive roundtable discussion between the presenting vendors and the audience. There is a live stream of the event available, too – so you can watch it comfortably live from your couch at home. As the delegates come mainly from the blogger, podcaster and technical writer area the event is all about social media. So it is possible to interact with the delegates through Twitter if you want during the event, to let them ask questions for you. And of course you can read about the event on their blogs, respectively watch archived videos of past events on YouTube. I am travelling to Boston for Tech Field Day 11, taking place between June 22 – 24, 2016. All times correspond to Boston Time. So take care not to miss the event due to the time difference. If you want, follow me on Twitter (@lessi001) for live tweeting during the event and check back to Running-System.com to read more about #TFD11! I attended #TFD11 as an independent blogger. I received no compensation for attending the event, but Tech Field Day (GestaltIT) was so kind to pay for airfare, transportation, meals, and leisure program. There was no requirement to write positively about any of the vendors (or write about them at all) – so all you read about the event on my site is my personal opinion.